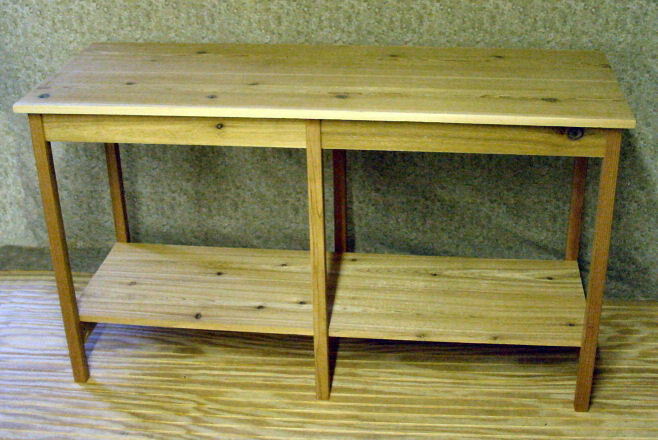 This Cedar Table makes a great Serving Table inside or outside on your deck. Very sturdy and resistant to the weather it will last for years. We can make it to your dimensions.